It’s free, portable, quiet enough to play anywhere and has powerful brain-boosting benefits for kids – and it’s fun, too. Here’s why you should get your child hooked on chess. Why is chess so good for children? Chess is becoming increasingly popular in schools; nine out of 10 private schools promote it in some way, and state schools are slowly catching up. ‘Chess helps to develop children’s critical thinking and reasoning, encourages them to plan ahead, and teaches them that their actions have consequences,’ says Malcolm Pein, chief executive of Chess in Schools. Research backs up the educational benefits of chess: an American study of 3,000 students showed that playing chess led to higher grades in English and Maths. It also encourages problem-solving, sportsmanship and self-esteem, often allowing quieter children to shine. ‘It’s great for children’s concentration and patience: it’s the antidote to computer games,’ adds Malcolm. How old do you have to be to play chess? How can you encourage your child’s interest? No chess in your child’s school? Find out what’s on in the community. Chess in Schools supports library-based chess clubs, and there are also a number of junior chess clubs throughout the UK. 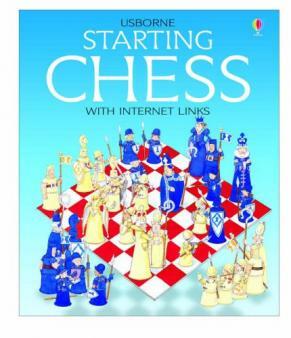 There are also lots of good at-home resources to teach your child chess, such as the Fritz and Chesster series (available from Amazon, for platforms including PC and Nintendo DS): a complete beginners’ guide with arcade style games and more. The websites Chess.com, ChessKIDS Academy and ChessKid.com have tutorials, too, or why not download an app to your smartphone or tablet? 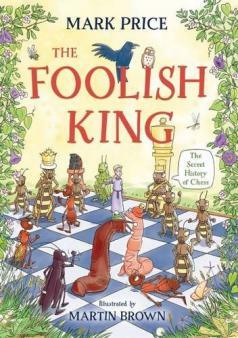 Check out The Foolish King or Chess Academy for Kids in the App Store. Junior British Chess Magazine is aimed at parents and children, too. Why learn to play with your child? ‘Chess is a great way to spend quality time with your child,’ says Malcolm. ‘A couple of generations ago, teaching your child to play chess was a natural bonding experience – although be prepared for him to beat you once he’s mastered the game!’ As an added bonus, research shows that chess can delay brain ageing, keeping you mentally sharp. Isn’t it a bit boring? 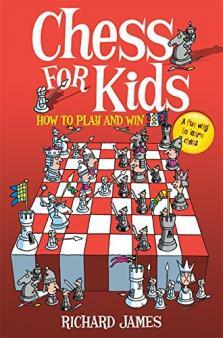 ‘How do we make chess fun for children?’ asks Malcolm. ‘We don’t need to – as soon as they start playing, they’re gripped. The idea that chess is boring comes from the fact that at the top level, games can last hours, but a friendly game is completely different and not at all stuffy.’ As well as playing in clubs, with friends, or with games and apps, children’s chess championships help to keep kids keen. The Delancey UK Schools Chess Challenge, for example, involves 60,000 children nationally, initially competing at a local level, but with big prizes for the top winners. ‘They earn rewards such as badges, pencil toppers and furry mascots, and recently, a nine-year-old wiped out his teenage opposition to win £1000,’ says Mike. You don’t get much better incentive than that!